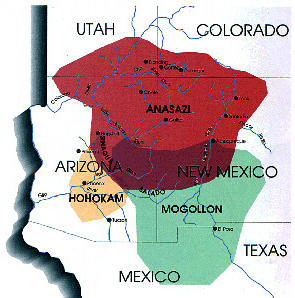 Their total living area encompassed the four corners where modern-day Arizona, Colorado, New Mexico, and Utah meet. 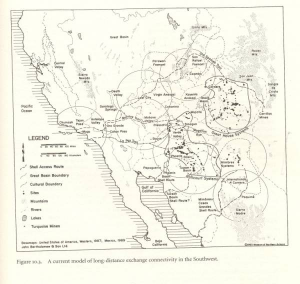 Yet, their trade routes reached across the Southwest and the Northern portion of Mesoamerica. Seashells, parrots, ornaments, pottery, macaw feathers, stones, jewelry, and so much more were traded back and forth. Surprisingly, this system helped spread agricultural advancements, religious customs, and pottery styles as well. 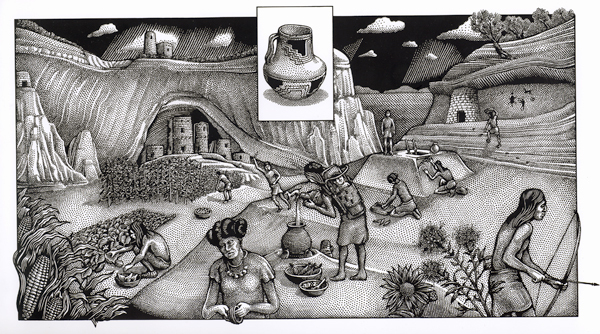 It was the lifeline of the Pueblo Period. The Ancestral Puebloans were able to prosper because of one precious stone: turquoise. Turquoise was akin to modern day diamonds; it was often used for more luxurious items, such as macaw feathers and parrots from Mesoamerica. A recent study featured in the Scientific American revealed new details regarding how the Ancestral Puebloan civilization acquired their turquoise fortune. The study conducted 800 isotope analyses from 22 resource areas in the Western United States and Northern Mexico. The study revealed that the Ancient Puebloans gathered their turquoise from several places, not just the nearby mining sites. Deposits found in the New Mexico settlement were from areas such as Colorado, Nevada, and Southeastern California. Smaller sites would travel farther to acquire their turquoise, but larger cities had unique knowledge of deposit locations and therefore were able to sustain a larger population. It was previously believed that turquoise was moved in one direction throughout the trade network. However, this study concluded that the trade routes were used for more than just trading turquoise, they were accessed by multiple societies for the large-scale trade of goods in both directions. The Ancient Puebloans were an advanced society who changed the Southwest during their prime. At Pickle Barrel, we encourage you to look further into their civilization. They were amazing architects, farmers, and craftsman. And we have only touched the surface of their trade network with this article.